Sink your teeth into the deep blue world of sharks with this snappy first reader, told in rhythmic rhymes and featuring a cool 3D cover. 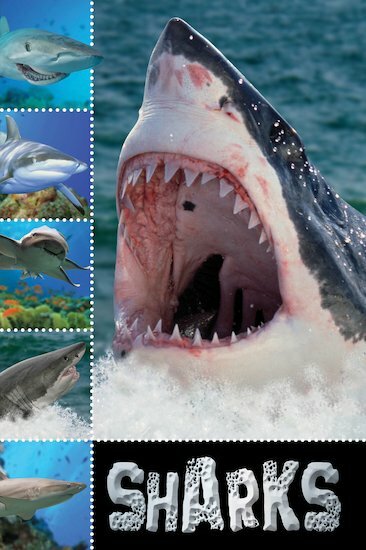 From the mighty Great White to the stripy zebra shark, meet these huge hunters of the sea! 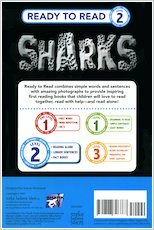 Written in appealing verse, this book uses simple vocabulary and slightly longer sentences to explore the thrilling world of sharks. Stunning photos and simple rhymes introduce a fascinating variety of species, pointing out their characteristics and differences. 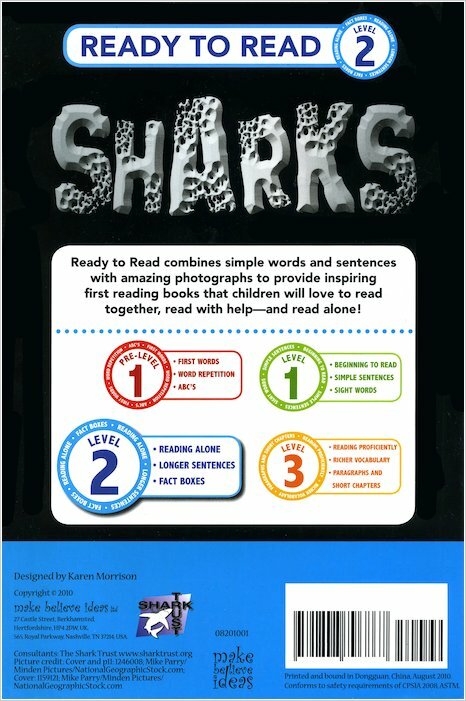 From Level 2 of the popular Ready to Read scheme, this book includes bite-sized facts, a simple quiz to check comprehension, a dictionary and key words, plus notes on reading together.